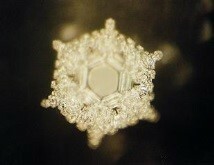 Hiromasa Emoto is a second son of Dr. Masaru Emoto. He was a vice president of Hado Life USA which organized many Hado Instructor Schools in the U.S since 2004. After he was back in Japan, he has been working for international division of I.H.M and now CEO of I.H.M Corporation which he took over from his great father. He carries on the mission to spread Messages from Water and spread Hado technology to the world. Dr. Masaru Emoto is the author of New York Times bestseller “The Hidden Messages in Water”, “Message from Water”, “The True Power of Water”, etc. His revolutionary research on water, with his world first technology of water crystal photography, shows that thoughts, words, and everything we see and hear have a direct effect on water-crystal formation. His most amazing discovery is that water is deeply connected with our individual and collective consciousness. Because both human body and this planet earth are about 70% water, it is essential that we all learn about water and how it’s connected with thoughts and words. He conducted extensive water research and through more than tens of thousands of water crystal photos that his laboratory has taken, he learned that when water is exposed to positive, beautiful words, thoughts, music, vibrations, it creates beautiful, hexagonal crystalline structures, on the other hand, when water is exposed to negative, ugly or destructive words, thoughts, music, vibrations, it doesn’t make crystalline structures and forms uglily. Dr. Emoto learned that the most beautiful crystal that water made was after it was exposed to the words “Love and Gratitude”. Water responded so beautifully at the molecule level, and that the words together of “Love and Gratitude” have the most beautiful energy. Dr. Emoto’s most important teaching is that, by learning from water and because we and the planet earth are almost water, if we all live in love and gratitude, this whole world will be a harmonious place and that it will be a peaceful world. In 2005, Dr. Emoto first announced at the United Nations Headquarters in New York that he would distribute 650 million children’s books of “The Message from Water” around the world to teach people, especially children, the valuable lessons of love and gratitude, with hope that people who learn it will naturally make the world a peaceful place. This was the beginning of the Emoto Peace Project and registered the non-profit organization. Emoto Peace Project was Dr. Emoto’s life’s mission. The children’s book contains many water crystals after being exposed to different words, different music, pictures, and intentions so that it is easy and fun for children to learn about the power of words, thoughts, and the beauty of Love and Gratitude so that they will make the world a harmonious place in 10 to 20 years. Since 2011 when Fukushima had the nuclear accident, Dr. Emoto started to help children in Fukushima by giving safe water - special structured very pure water - called “Angel Water” to protect them from nuclear pollution. This has been part of the non-profit organization Emoto Peace Project’s important activity. Dr. Emoto traveled all around the world and gave more than 1,000 lectures in over 70 countries, and he created a mass awakening in humanity. He was one of the world’s most spiritual people before he passed away in October of 2014. 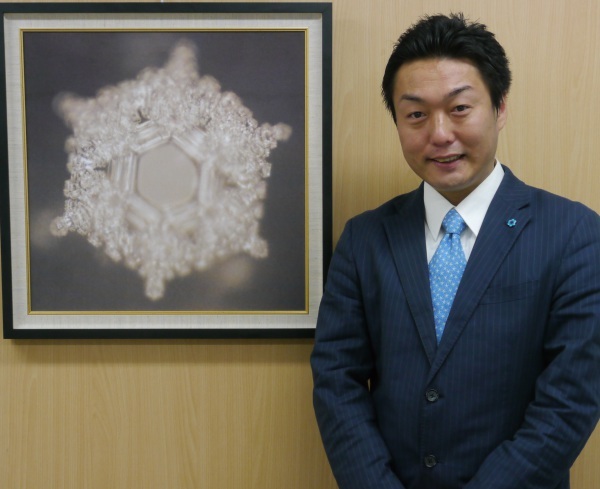 After his transmission, Michiko Hayashi is carrying on the wonderful work as the Ambassador and Global Director of Emoto Peace Project as it was Dr. Emoto’s long-time wish. She was Dr. Emoto’s administrative assistant for 10 years, and now travels around the world to give her presentations on Dr. Emoto’s discovery “The Message from Water” and Emoto Peace Project as well as continuing to distribute the children’s books and Angel Water. The book is translated into 31 languages, and continues to spread so that the world will be a harmonious and peaceful place rapidly.